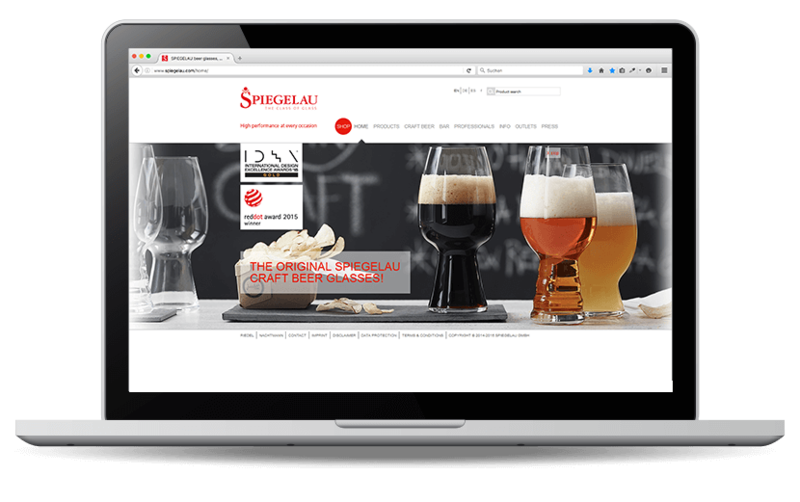 “High performance at every occasion” – that’s Spiegelau’s brand motto. 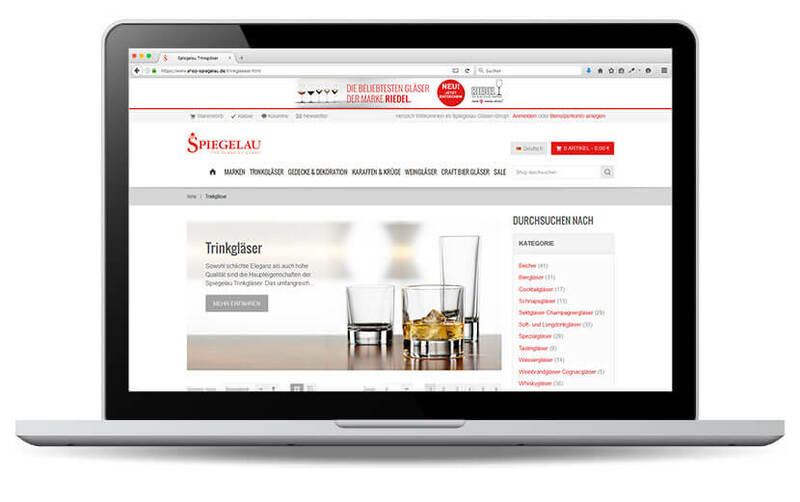 This is also reflected in our work: high performance for perfect online sites. Several websites with different requirements are managed by a central CM system based on the multi-domain principle – the system core is made up of a central product database. Our goal: efficient online sites with high-quality content, which can be simply expanded as required. Internet presence with a clear design. 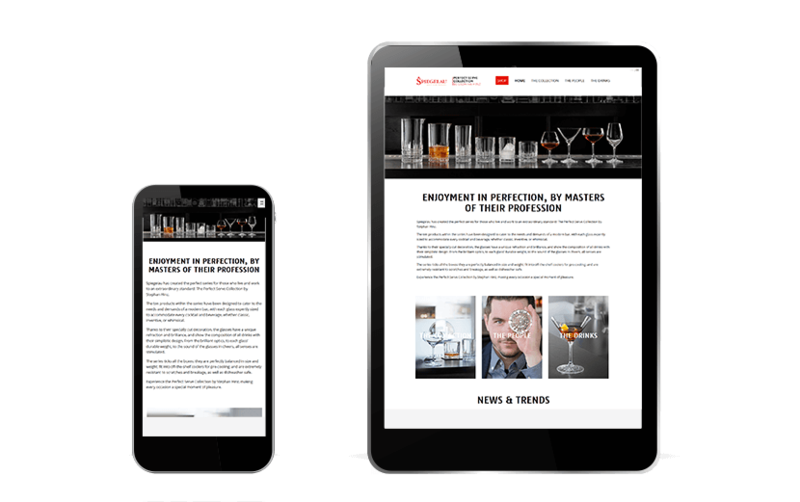 The user-friendly design of the TYPO3 website was optimised for iPads several years ago. 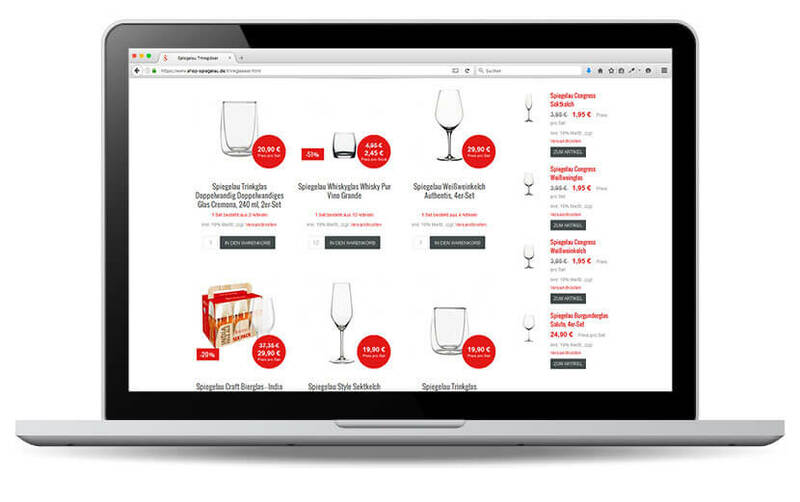 At its core is a central product database for efficient content management. 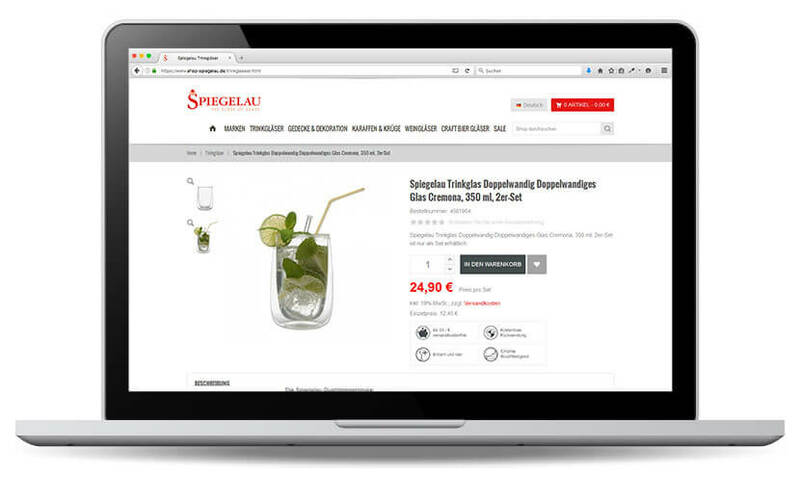 There’s also more traffic for the website thanks to targeted on-page and off-page SEO programming and IP-controlled market-specific linking to the relevant online shops. 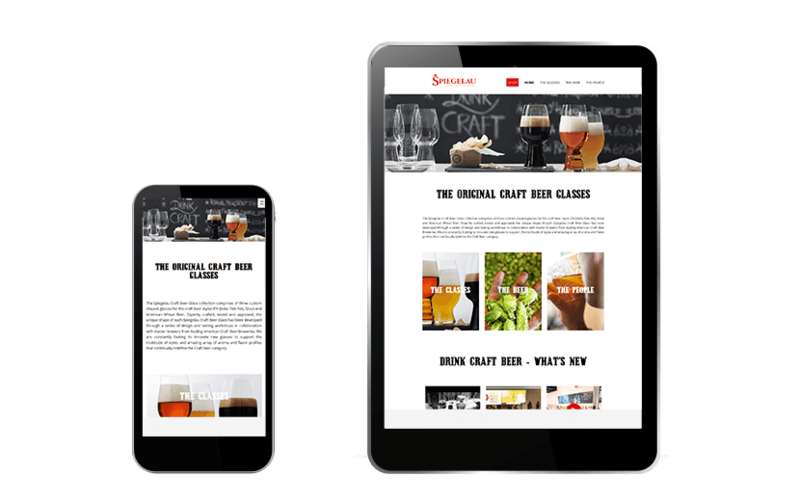 Modern Magento shop – optimised for smartphones. 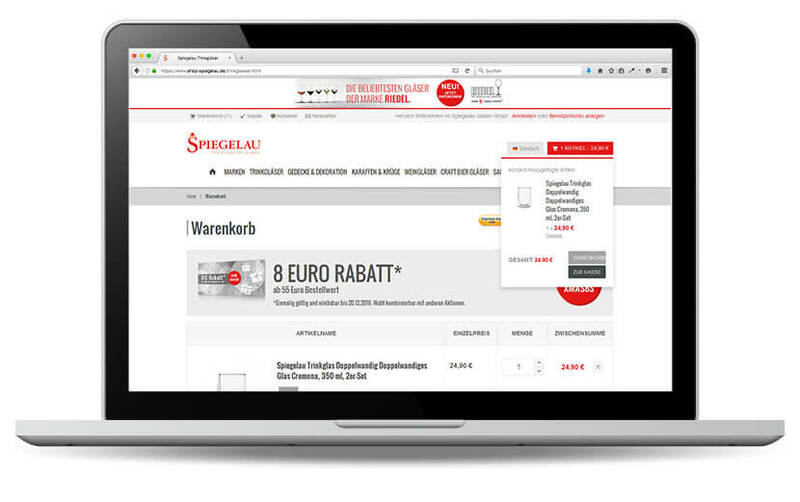 Efficient online concept with sales promotions, newsletter marketing, Google Merchant Center integration incl. shopping advertisements, retargeting, affiliate marketing and AdWords campaigns. Ongoing shop optimisation with the help of Analytics evaluation and conversion measurement for e-commerce activities. 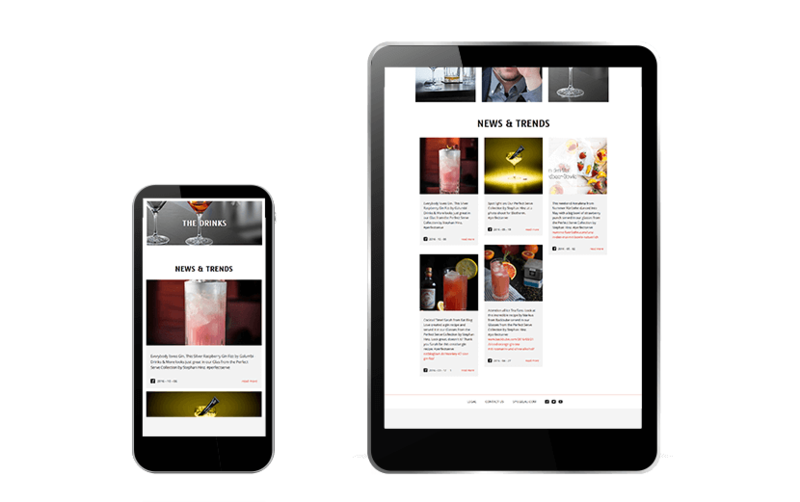 Trend products, mobile first.Looking for something special? 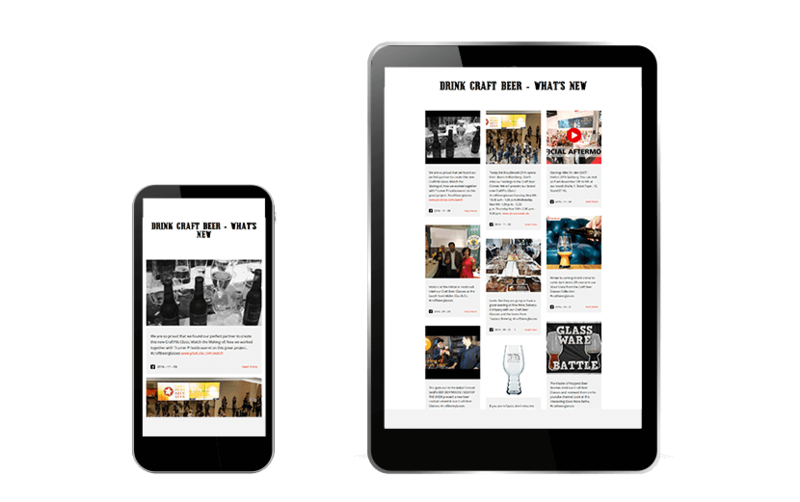 Two responsive single-page websites promote the hot topics of “bars” and “craft beer” with target-group oriented content and efficient integration of the latest posts and videos through social media aggregators.